Joni DiGabriele (Mrs. D) is a performing artist and educator with over 20 years of teaching experience. She has a Bachelor of Music degree from San Francisco State University and California credentials in Music and Multiple-Subjects. As a Dixie Elementary school teacher, she taught kindergarten, first and second grades and led school wide assemblies each week. As a former classroom teacher, she recognizes the need for children to learn tools and strategies to help them communicate and manage challenging emotions. 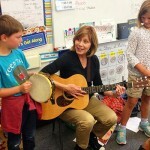 She launched Musical Moments to continue to teach children these strategies using music. 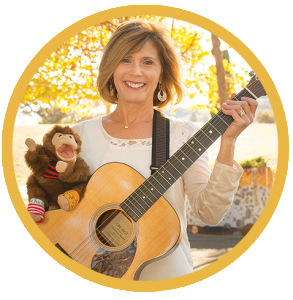 Using her love of the performing arts, she engages the children with music, poetry, movement, instruments and her puppet friends. Children learn friendship skills and ways to be Kind, Respectful, Responsible and Resilient. Skills that last a lifetime!